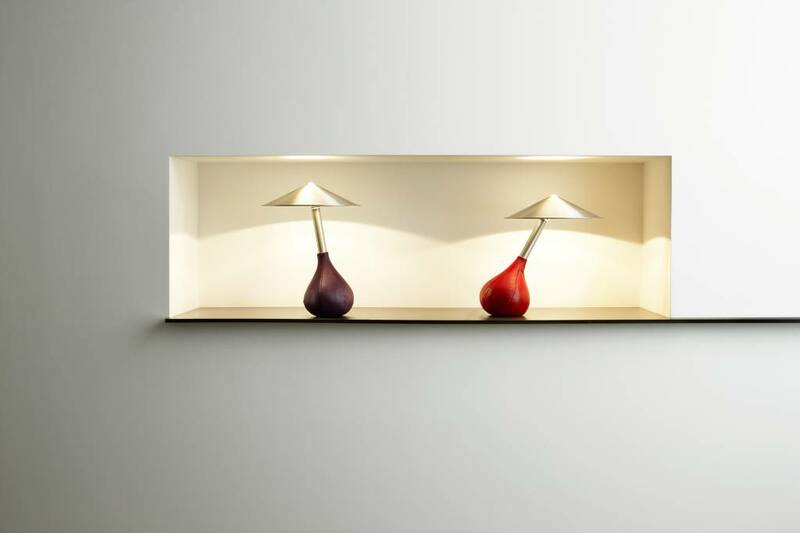 Piccola is limited only by your imagination. 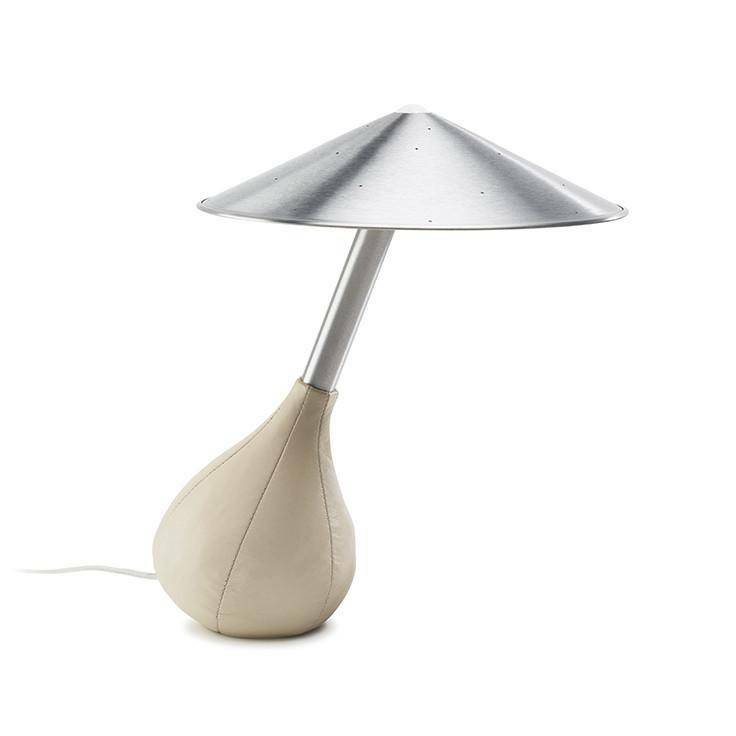 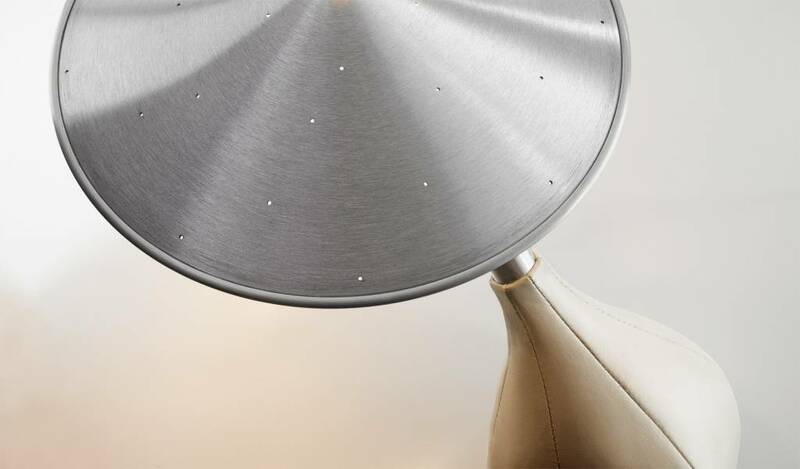 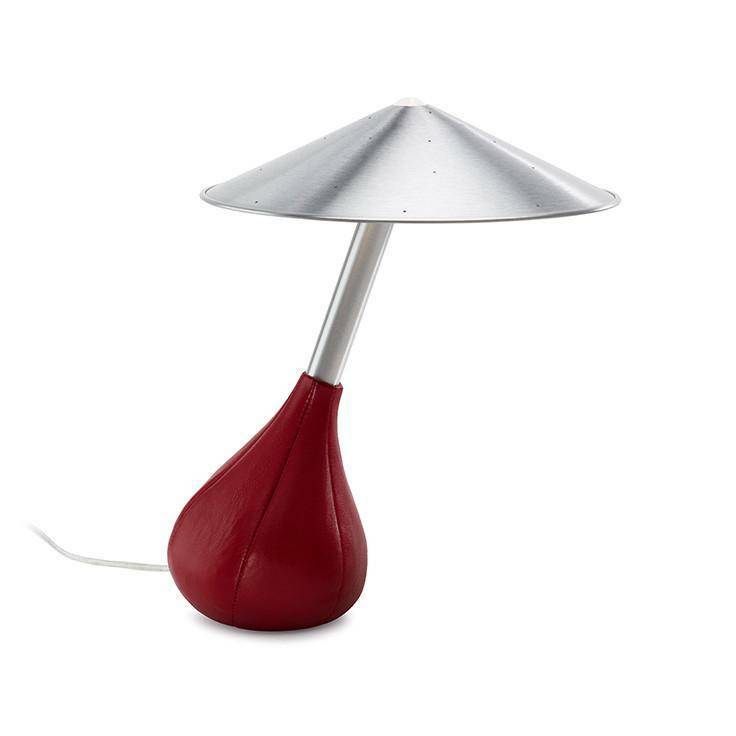 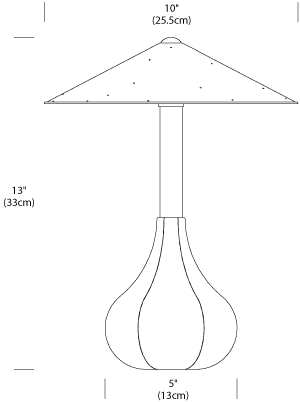 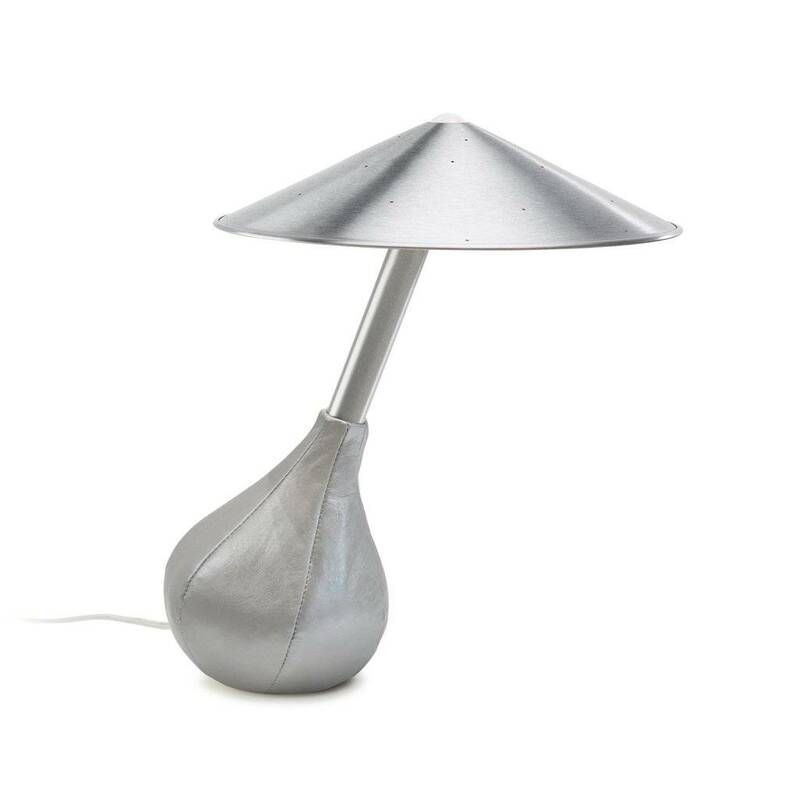 Its soft pliable base is covered in supple Italian glove leather and can be tilted to any angle while its handspun aluminum shade floats freely to remain level in all positions. It is as playful as it is intelligent.